Sponsor programs throughout the summer such as these and much more…. Theatre players putting on brief shows of Homestead Day times using our clothing, hats, wagons, sleighs, etc. 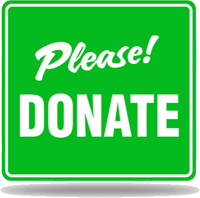 Please make your check payable to “Polson Flathead Historical Museum” and mail to PO Box 206, Polson, MT 59860. In return you will receive a receipt that you can use for tax purposes as your sponsorship is a donation to a non-profit 501c organization. Please consider making a donation to the Museum.